New Delhi (India), Apr 6 (ANI): A day after Irrfan began shooting for Dinesh Vijan’s ‘Angrezi Medium’, some more insights into the film have been revealed. 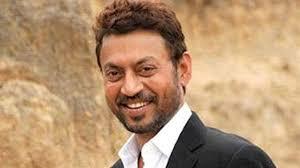 Meanwhile ‘Patakha’ fame Radhika Madan plays the daughter of Irrfan Khan. Angrezi Medium is the sequel to the 2017 hit ‘Hindi Medium’ in which Irrfan played the role of a rich businessman from Delhi.